If you have a phone running Android 7.0 Nougat or higher, you can now use it as a FIDO security key. 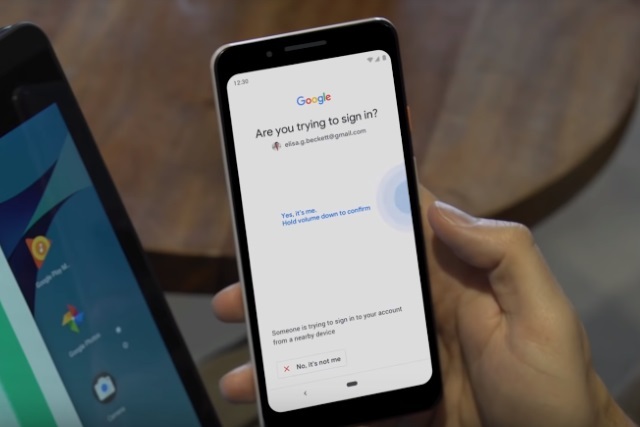 This new option was announced at Google Cloud Next 2019, and it makes using 2-Step Verification much more accessible thanks to the fact that people are likely to have their phones with them most of the time. The system -- currently in beta -- can be used to access ChromeOS, macOS or Windows 10 computers running Chrome, and can replace or supplement other FIDO-based security keys like Google's own Titan Security Key. Announcing the availability of the new security feature, Google says: "your phone can be your security key -- it's built into devices running Android 7.0+. This makes it easier and more convenient for you to unlock this powerful protection, without having to carry around additional security keys. Use it to protect your personal Google Account, as well as your Google Cloud Accounts at work. We also recommend it for people in our Advanced Protection Program". Make sure you're enrolled in 2SV. On your computer, visit the 2SV settings and click "Add security key". Choose your Android phone from the list of available devices -- and you're done! In order to use the feature, you'll need to remember to have Bluetooth switched on both on your phone and on the computer you want to sign into.